Baltimore Martial Arts and Fitness students competed at the North American Grappling Association (NAGA) in Landover, Maryland. on Saturday October 8th, 2011. It was a nail bitting day with a few more losses than wins, but in the end we came out stronger and better from the experience. Baltimore Martial Arts junior competitors Justin Pyle Jr. and Ben Metzler competed in the junior advanced BJJ gi and no gi division. Both young men had very tough matches against world ranked competitors. Justin Jr. also known as the one man army, succumbed to some tough submissions but put on a good effort. 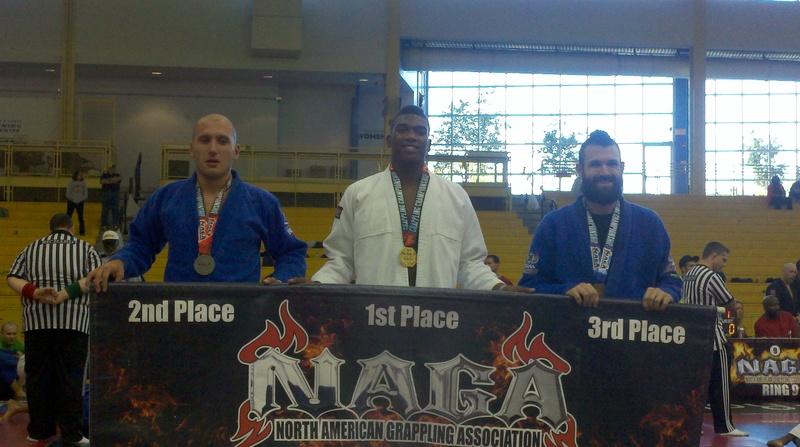 This was Ben Metzler’s first NAGA tournament. Ben had one win and three losses. Oscar Heredia competed in novice and had some very tough matches. Two losses came at the last second and one loss was decided by an advantage. Oscar was awarded a sword from the referee because of his performance. Oscar was away from training for the summer but he is back in training and practicing hard. 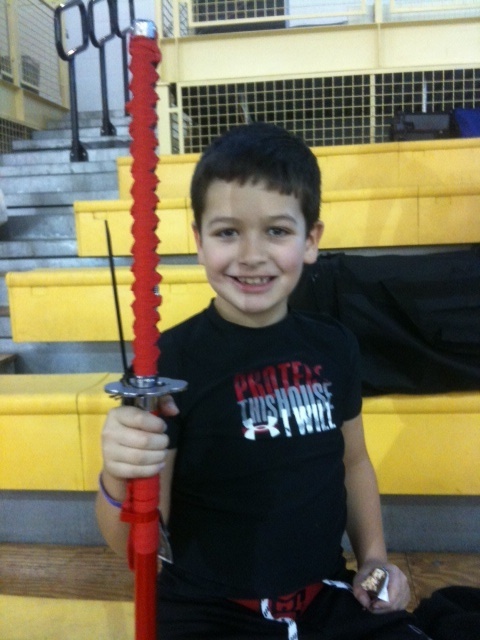 Oscar hold a first place trophy samurai sword at NAGA Landover Maryland October 2011. Ian Rathmell was also away for the summer but he decided to compete anway. He was very brave in all of his matches and showed determination throughout the day. Wins didn’t happen for Ian or Oscar but showing up made them winners in their coaches and parents eyes. Baltimore Martial Arts junior BJJ competition team will be in training for more upcoming jiujitsu tournaments. Our team has not been doing as many NAGA tournaments as we have in the past. Lately we have been competitng in the Junior Grappling tournaments which offer a double elimination format thus allowing our kids to compete in more matches. Kids can enter up to four different divisions in Junior Grappling. Justin Pyle Jr has had as many as 17 matches (maybe more?) in one day. 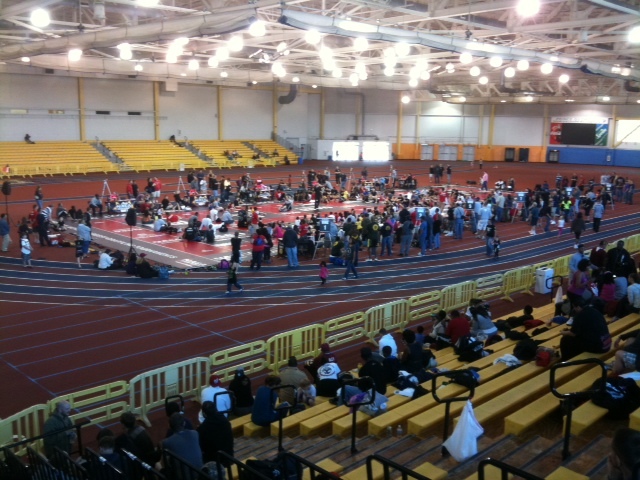 The next Junior Grappling Association tournament will be held in Virginia Saturday October 15th 2011. The Junior Grappling Association 2 day National Championships will be held in Fredericksburgh, Virginia November 12th-13th. This event will award competitors that have accumulated points throughout the 2011 BJJ competitive year. Turnout for NAGA Landover Maryland appeared to be half of what it was last year. This photo was taken at about 10:30 AM while the rules discussion was taking place. Rules discussion took about an hour which for many who are already familiar with NAGA rules can be lengthly. Im not sure why the turn out was less. Some people that I talked to suggested that it was due to the economy. Maybe you have an opinion?? ?